MyDay is compatible with TaskRay. If you are a TaskRay customer, then your TaskRay Tasks will also be viewable in MyDay alongside standard Salesforce Tasks and Events. You may select up to three custom activity fields to have available to include in your MyDay display. Select up to 3 custom activity fields. Follow the Settings section to customize which columns to show and hide including the three custom fields. 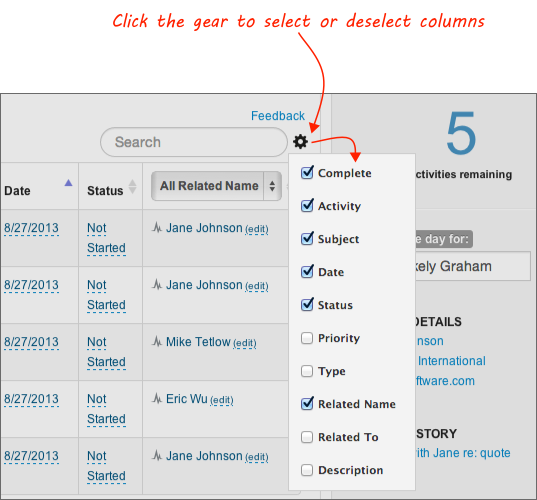 Customize your MyDay columns by clicking the gear column.